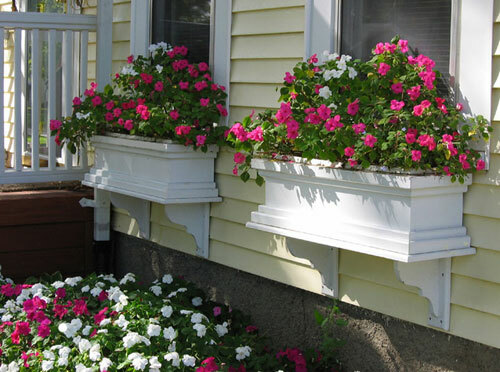 It is so easy to take a simple looking home front and turn it into something super special with a window box garden planters. It adds color, beauty & function to the outside of any home. 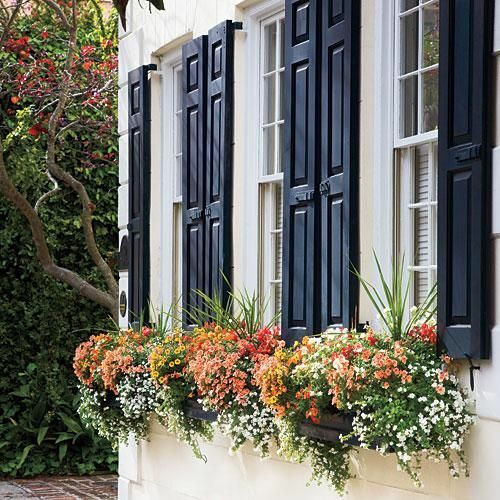 Window box planters are the easiest way to add some pizzaz to your home exterior where you may have large windows that can use some trim & detail. Window box means just what it says. 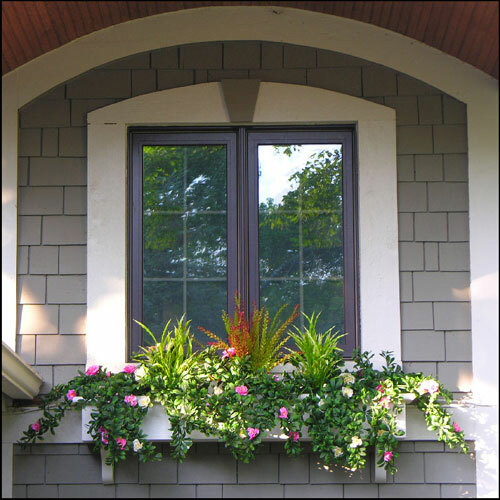 A box you attach to a window preferably on the front of your home that holds colorful flowers and trailing vines. Large windows both tall and wide offer the greatest possibilities for climbers scrambling all the way up the sides, tall bushy plants inside these, curving down to even smaller plants. Change it up with the heights and colors of the plants to add the most interest. 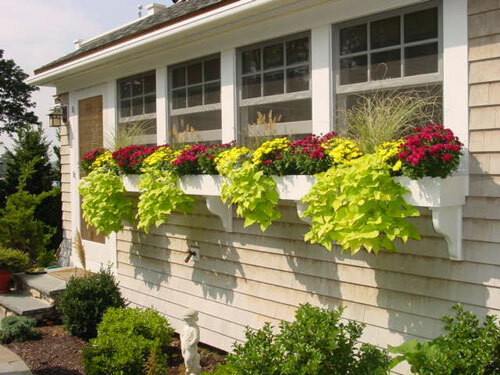 Trailing plants are vital, spilling out of the window box planter and cascading downward to add further depth to the display. They add an exotic touch and help to balance the look. Speaking of climbers and trailers, it's interesting to experiment with mixed plant materials for unusual effects. For example, two different types of climbing vines may be placed close together to scramble up through one another. Perhaps the ivy with handsome glossy foliage, and a sweet pea to twine up through it. Lastly, ask yourself if you were walking by your house what do you think would look great? Then ask yourself if you were sitting inside the house looking out what would you like to see? Make sure all your hard work can be seen from both view. Even if you have no yard at all you can still look out your window at stunning flowers blooming and lush greenery.